Need help or have questions about the equipment? Email us! Search the wiki for RTF tutorials on AVID, ProTools, and more. 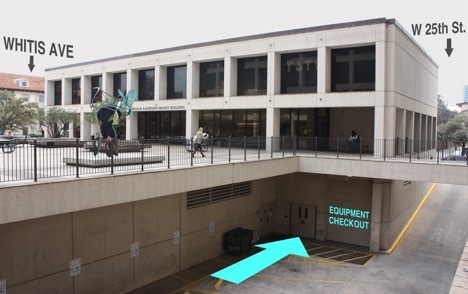 Through its opt-in subscription newsletter, web page and facebook page, the "Cage" is the virtual Student Production Resource Center for University of Texas at Austin student filmmakers, offering RTF students opportunities to share and access a variety of production resources. Available to students who are currently enrolled in courses in the Moody College of Communication. Films, videos, DVDs, Laserdiscs, audio cassettes, and related materials for educational use. Available to RTF faculty, staff, and graduate students only. View Moody College production facilities and reserve rooms. Learn more about RTF and Moody College tech staff.